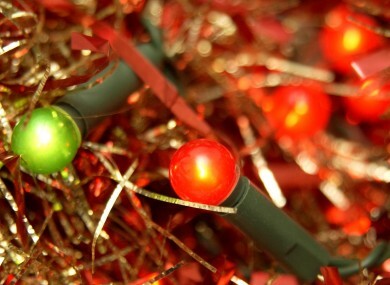 FAIRY LIGHTS USED to decorate your Christmas tree could be slowing down your broadband, UK watchdog Ofcom has warned. This follows the release of an app by the body that checks wireless signals within the house to see if data is flowing uninterrupted from its router. It claims that as many as five million homes across the UK could be seeing their broadband slowed down by a number of household items. Besides fairy lights, other objects that have been flagged are microwave ovens, baby monitors and lamps. Ofcom is also responsible for the monitoring of complaints relating to broadcasting in the UK. Along with its new app, the body has released a report into the state of broadband across the UK. It was found that superfast broadband is increasingly becoming the norm, with it now available to 83% of UK premises, up from 75% in 2014. The watchdog’s new report also noted that 4G mobile services had successfully rolled out across the United Kingdom, and was not available to 77% of individuals. It isn’t all good news though, and it was noted that many consumers and SMEs are still unable to receive standard speed broadband, with rural areas feeling the brunt of this. The newly published ICT Development Index, a measure of internet speeds published by the United Nations, has found that Ireland fares well internationally in terms of broadband speeds. It ranked 22nd internationally, a drop of two places from its 2010 position. This placed Ireland at 15th within Europe. Email “Fairy lights could be slowing down your broadband, watchdog warns ”. Feedback on “Fairy lights could be slowing down your broadband, watchdog warns ”.